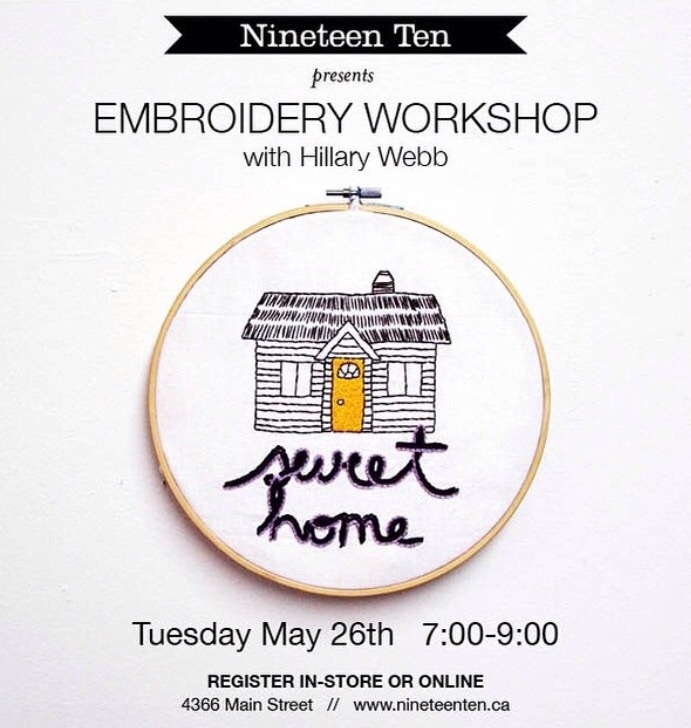 I'm pleased to announce that I will be teaching a beginners embroidery workshop at Nineteen Ten Home. We are also working together to create two new embroidery kits that will be for sale in their sweet Mount Pleasant shop. It will sell out QUICK so SIGN UP HERE!